Bubbles nose what he likes! 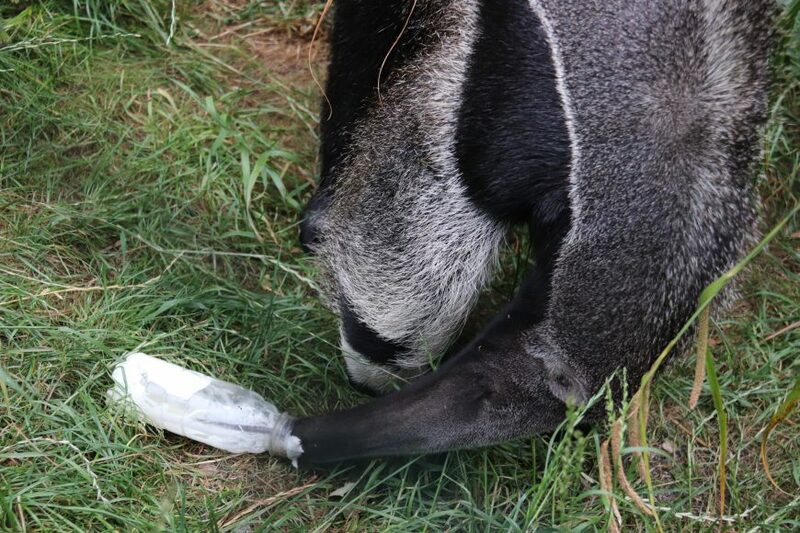 When our male giant anteater Bubbles uses his 2ft-long tongue to lap up his favourite natural yogurt, everyone nose what he’s been eating! That’s because the adorable one-year-old leaves much of his regular treat around his nose. 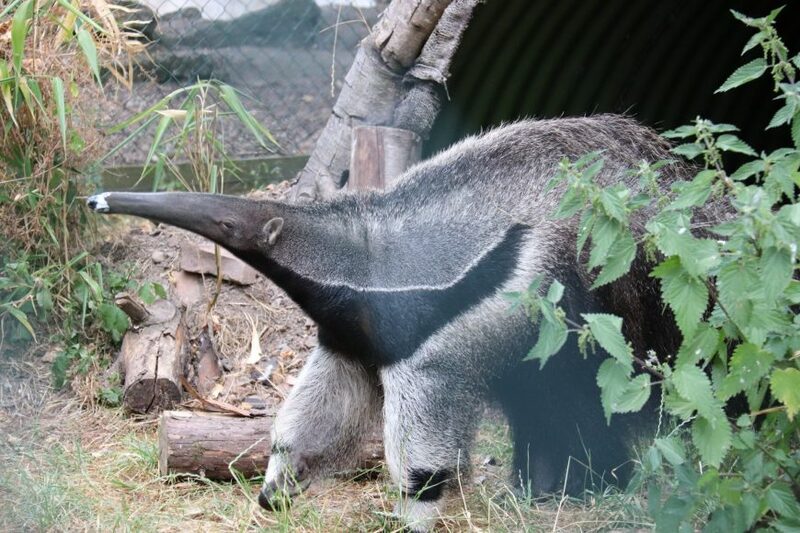 Keeper Josh Luxton said: “Giant anteaters certainly are messy eaters and they often have food left around their noses. “Their tongues are on average 60cm long and are really sticky to be able to pick up termites and ants in the wild. “Our two, Bubbles and Romy, both love their natural yogurt treats which we put in plastic bottles and they use their long tongues to lick it out. Friendly Bubbles arrived from Longleat Safari Park in Wiltshire in June and shares the paddock with three-year-old Romy. Previous: What a crate pic!